Our last post had a great upper body weight training workout that you could follow for 4 weeks to improve your muscular strength and endurance and to get toned arms. 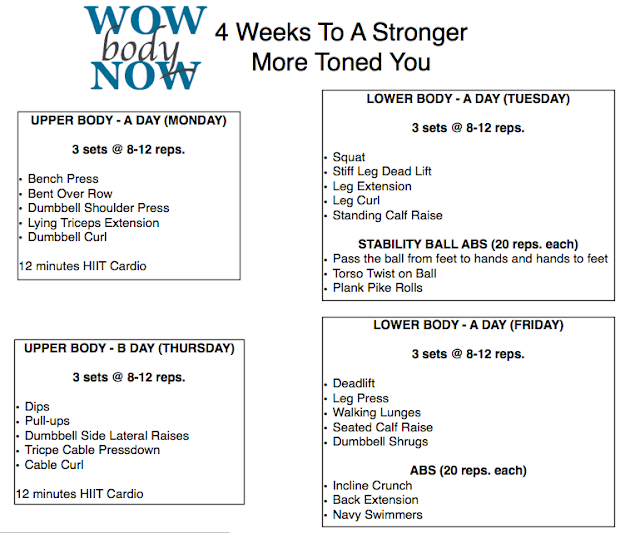 Since the 4 week program has 3 other workouts, I thought I'd give them to you all at once here. You can implement it all at once like I did or you can use any of the workouts to enhance what you already have going in your fitness regimen. 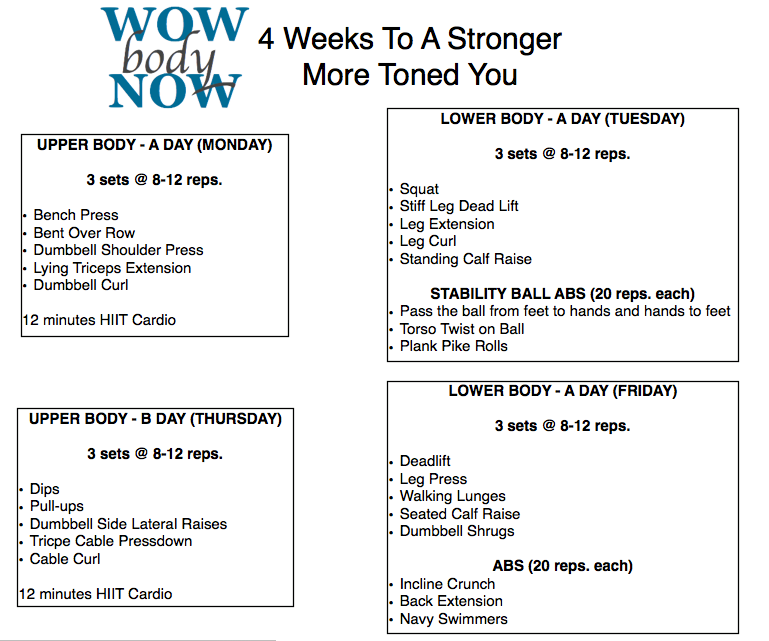 If you don't have 4 days a week to get your weights in you can combine the corresponding upper and lower body days into one workout. That's actually what I did. I was able to see a marked improvement in my strength and even noticed some more definition, especially in my thighs.